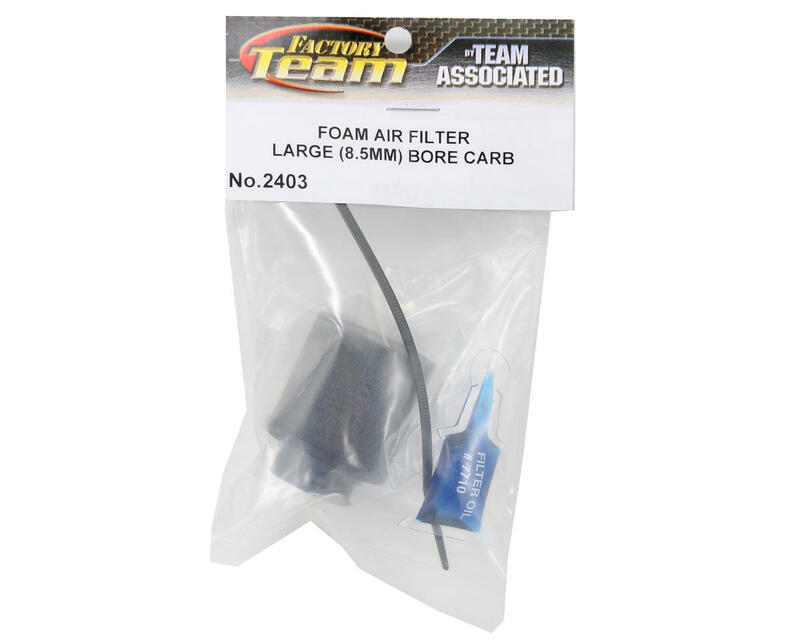 This is an optional Team Associated Factory Team Foam Air Filter Kit, and is intended for use with any large bore carburetor (8.5mm bore). The Factory Team Air Filter Kit is ideal for large bore slide carburetor used on 1/10 scale nitro cars and trucks. It's also perfect for carburetors used on 1/8 scale kits. 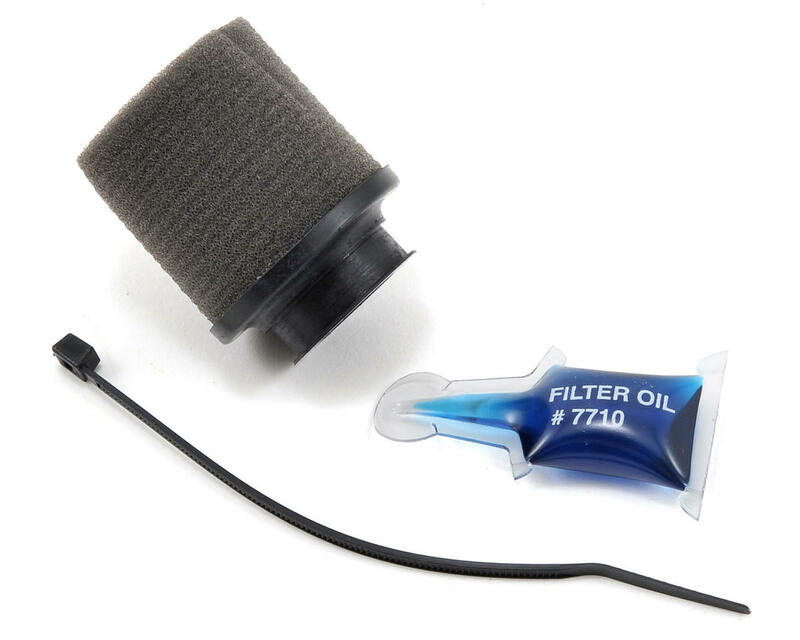 Package includes a small container of pre-filter treatment to prepare air filter for immediate use. Note: This Factory Team Air Filter Kit does not fit the Team Associated .12 or .15 engines.